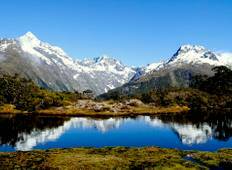 Find the right tour for you through Stewart Island. 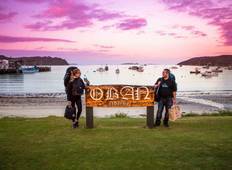 We've got 12 tours going to Stewart Island, starting from just 3 days in length, and the longest tour is 31 days. The most popular month to go is April, which has the most number of tour departures. "Travelling on my own with the complete strangers in a foreign land was quite an experience...."
"very good，i will recommend to my friends"
"Stray was amazing. The people on the tour and working for the company were all great,..."
"Stray really did go off the beaten track in many great ways showing and telling you..."
"I travelled with Stray on the South Island for 15 days, so I couldn't really hop..."
"I had an absolutely wonderful time on the Stray bus! I really enjoyed the remote..."
"Driver was awesome - off the beaten track was a huge seller and meant people weren't..."
"Kia Ora! Just finished my trip around New Zealand with the stray company a view days..."
"I booked stray because I want to take the hassle out of traveling and to make life..."
"After travelling around South East Asia on my own for 7 weeks I was looking forward..."
"I had an absolutely fantastic experience with Stray. Every tour guide balanced professionalism..."
"Stray was a great way to travel, took the hassle out of finding activities and accommodation..."